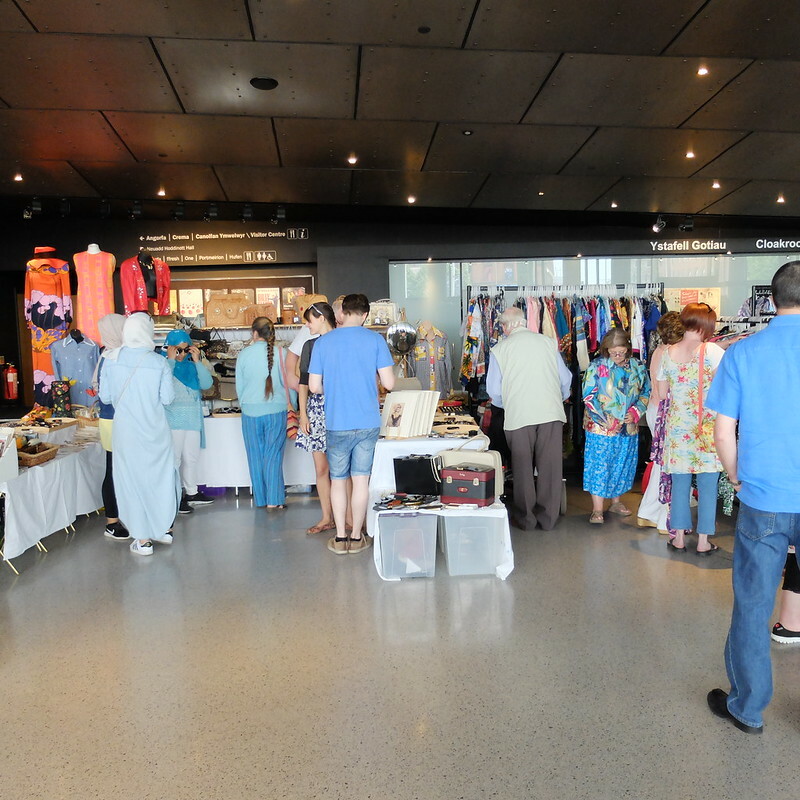 On the recent bank holiday the Vintage Extravaganza returned to Cardiff's Millennium Centre. Full of music, dancing, stalls and - most importantly - folks taking advantage of the chance to dress up, it promised to be a fun event. Last year we particularly enjoyed the classic cars on display, and I came home with a few vintage purchases. What would we find this year? The weather was better this year, a lovely sunny and even warm day. 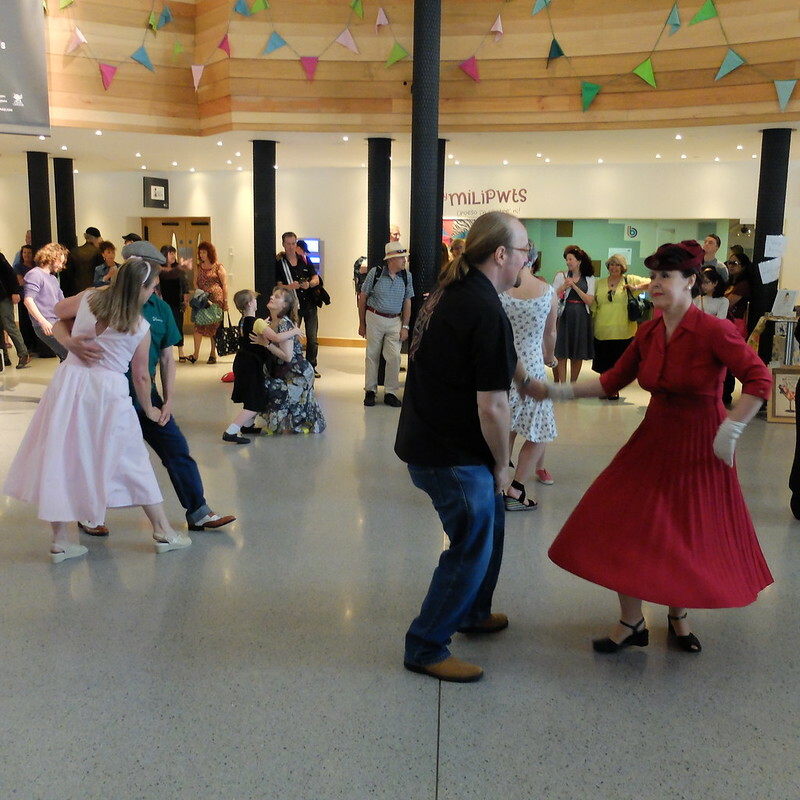 The dancers from Valley Jive were certainly working up a sweat in their demonstrations. 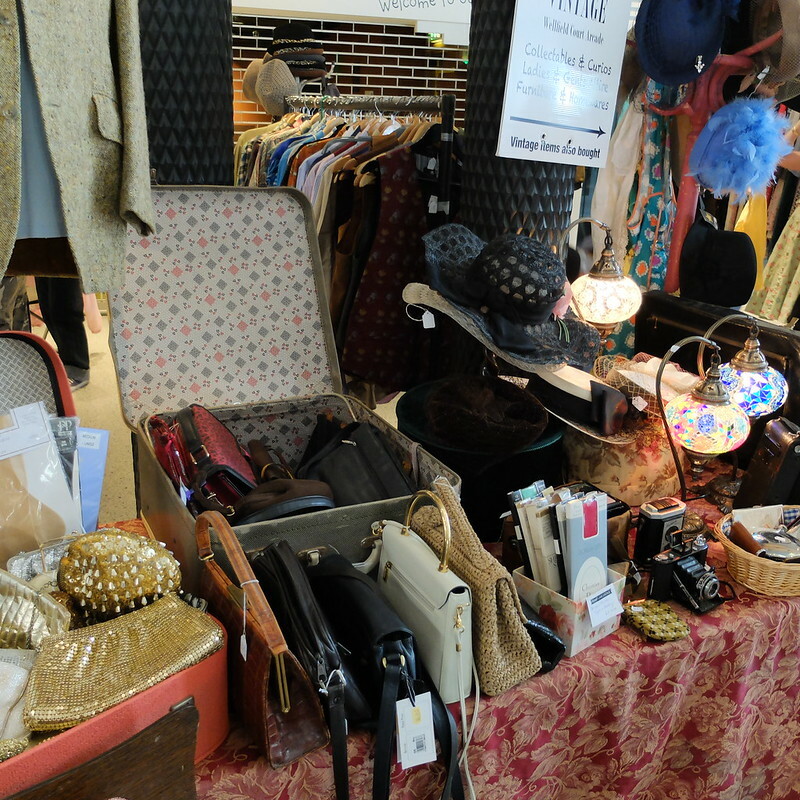 There were a few familiar faces - Vix and Jon were trading, as was Emily Rose Vintage. The stalls were really good, but I left empty-handed as I wasn't really in a buying mood and am trying to save for our next trip (wherever that might be...). The classic car display was much smaller this year. If you follow me on Instagram you'll have seen this snap of me in front of an MG. The '80s dress I'm wearing is from a charity shop, I think it was 50p. It was a tad stained, but came up lovely in the wash! I then spent 25p on ribbon from the car boot sale, and made the straps (I have an aversion to strapless dresses). 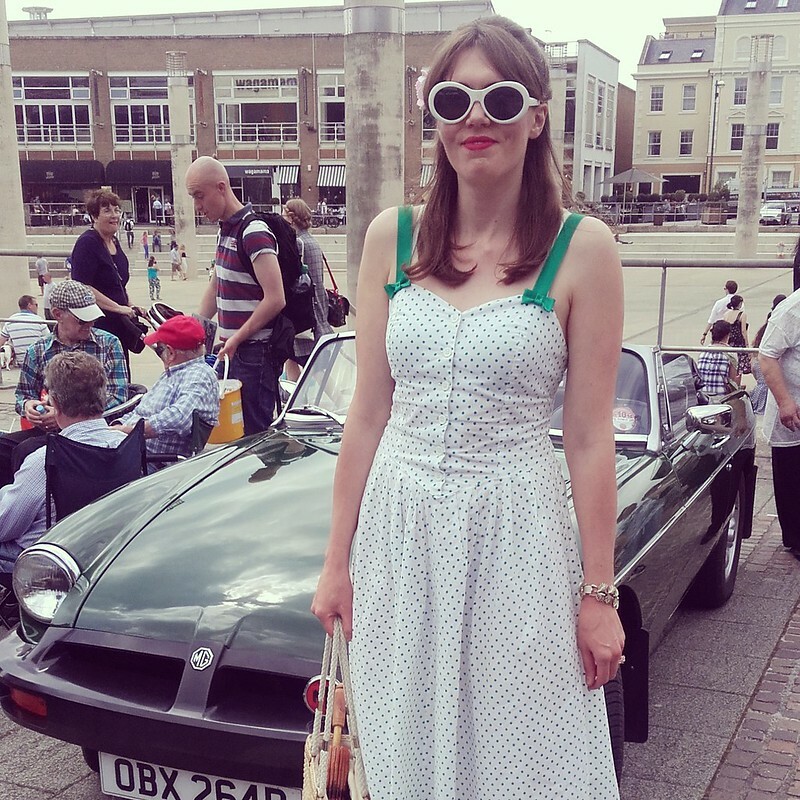 I was pleased that the weather was sunny and I finally had the chance to wear the dress, I think I bought it a few years ago now and it took me ages to get around to putting the straps on. We didn't stick around too long at the fair as my husband was feeling rubbish, so it was home for a glass of something in the garden. Our rhododendron is very colourful, and our peonies have been magnificent. Look at the size of that rhubarb too, it looks prehistoric! Gold palmtree bracelet: '60s vintage, from car boot sale. Oh those peonies! They look like they would smell divine. The green bow straps were a fantastic addition and really make the dress pop! I love that you added your own straps to this dress. Something I should consider since I just automatically discount a dress if it is strapless. You need to pick that rhubarb! Either that or send it over here : ) I've lot loads of recipes for it. Looks so much fun! And I like your dress, very sweet! 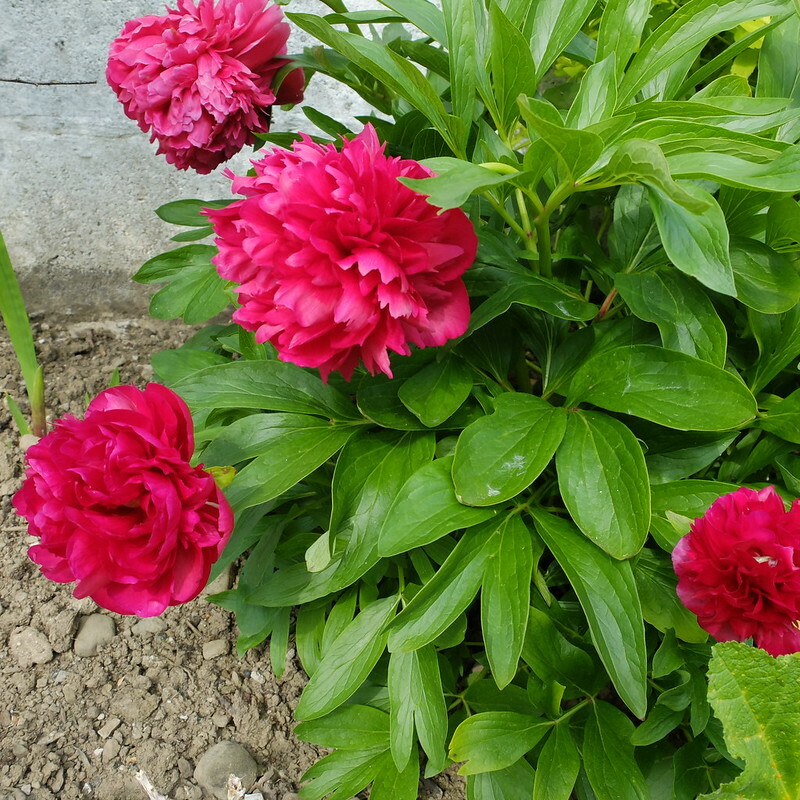 Oooh, lush peonies! 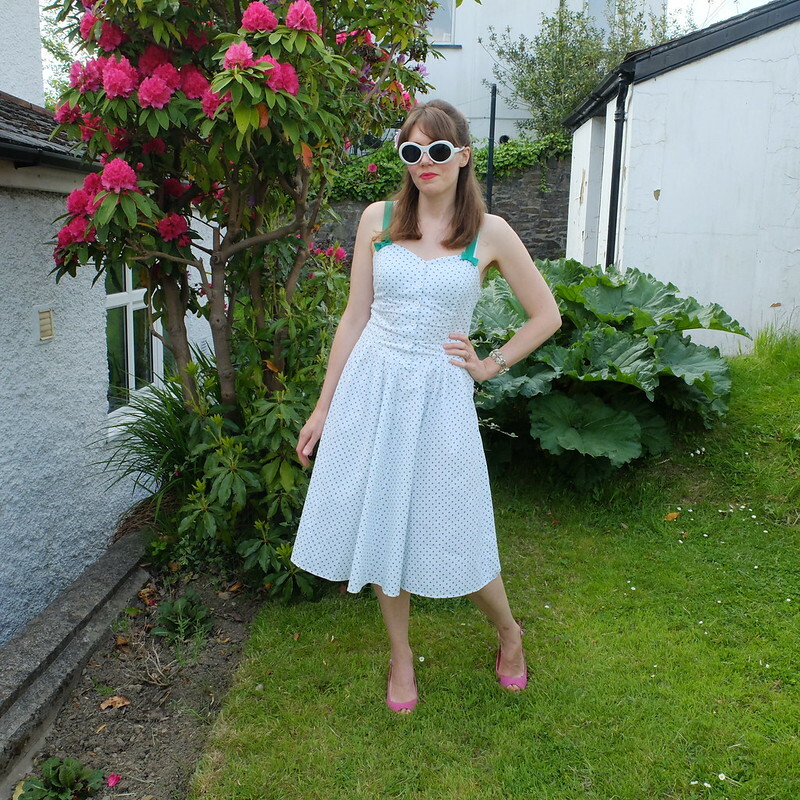 Hooray for fab weekends; Welsh ladies (and lads) certainly do seem to love their vintage. That dress looked lovely and fitted you perfectly. 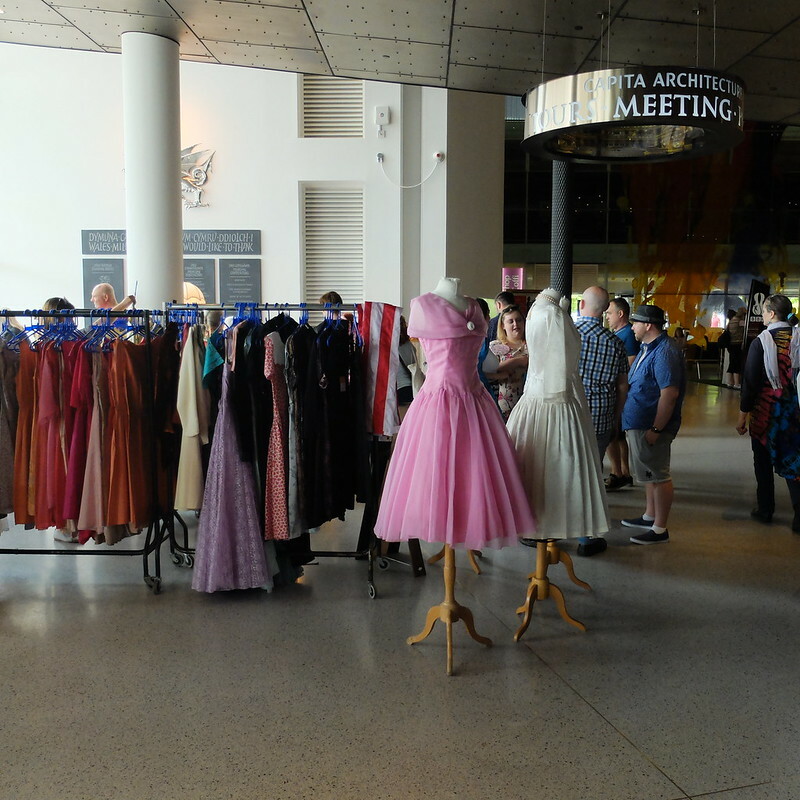 I sold quite a few 1980s dresses to the rockabilly crowd at Cardiff that day, there were some great 1950s shapes around back then. Wow, what great pictures you got! 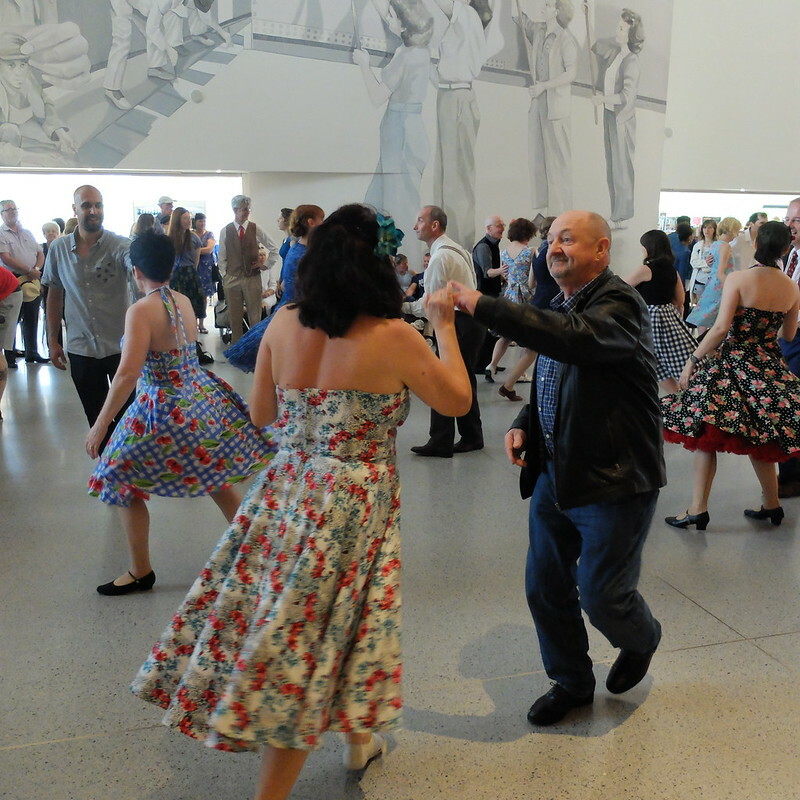 I especially love the ones of people dancing! You look great in your outfit, too. Really great customisation with the straps. And the green works so well, I wouldn't have thought of using an accent colour but it lifts the whole look and makes it so much fun! An event really interesting! are all these amazing vintage clothes! It's nice to see people dancing! Enchanting your polka dot dress. .. And these flowers when I was little, my grandmother grew them .. they are beautiful!